One week until Pancake Day. Yay! Love love love pancakes! The pancakes are also gluten free, sugar free (or refined sugar free if you want a slightly sweeter pancake) and can be made dairy free with some minor tweaks if you are dairy intolerant. 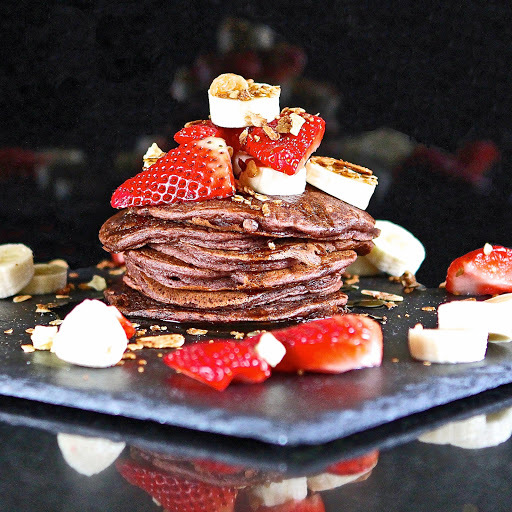 Looks like you might be able to eat a whole pile of these babies without guilt or ill-effect! As with most recipe development though, they have a story attached to their evolution. 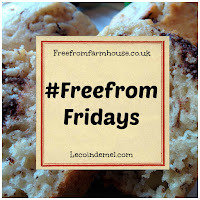 Having joined an amazing group of free from bloggers this month to bring you an incredible variety of #FreeFromPancakes, I originally intended for my beetroot version to also be vegan..... but they were a disaster! Instead of trying to make an egg-free pancake, I tried making a whipped egg-white pancake, subbing eggs for aquafaba. Disaster! Whilst I could have faddled around for hours finding uses for chickpeas, just so I could use the liquid aquafaba to test, test and test again, I have been seriously strapped for time this week, so decided to revert to my old favourite..... buttermilk pancakes. I have two other buttermilk pancake recipes on the blog : Banana Buttermilk Pancakes with Caramelised Banana Sauce and straight Vanilla Buttermilk Pancakes. Always delicious! I made two successful batches of Beetroot Buttermilk Pancakes...... The first was a savoury version, with a little extra pinch of salt, no cocoa and no sugar, although if I make them again, I would probably add the cocoa anyway, as it gave a lovely depth of flavour. 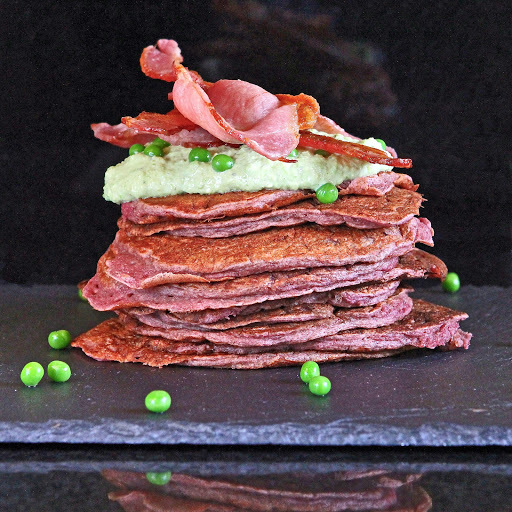 As you can see from the photos, I paired them (rather unusually) with a minted pea soured cream and crispy grilled bacon. Actually, the flavours and textures worked really well together........ the crisp salty bacon against the fresh, clean creamy pea and soft, fluffy beety pancakes..... The bacon was a must! My second batch was slightly sweetened with coconut sugar and had a little cocoa added to enrich the batter and slightly offset the beetroot. 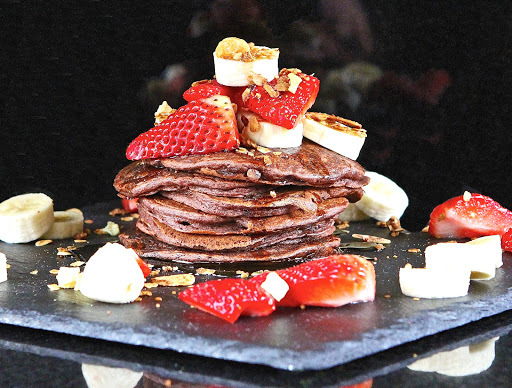 I guess they would probably count as natural red velvet pancakes, but with the added sugar, they cooked-up a little darker than the savoury ones, so I hesitate to call them 'red'. I ate a couple 'neat' and could barely taste the beetroot, but served with lashings of maple syrup, sliced banana and firm, sweet red strawberries, they were absolutely delicious! Oh..... and see the sprinklings of roasted nuts, oats and seeds on the top? That's a little addition from my new delicious muesli recipe which brought an enhancing crunch to the pancake party. Recipe to be posted soon! 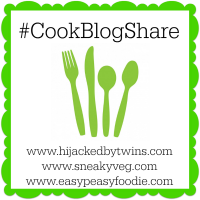 Cook Blog Share - this week with Hijacked by Twins. 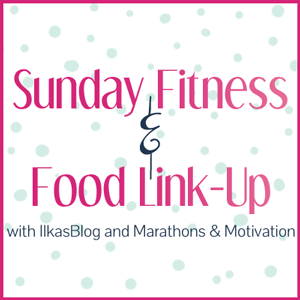 Sunday Fitness & Food with Ilka's Blog and Marathons & Motivation. 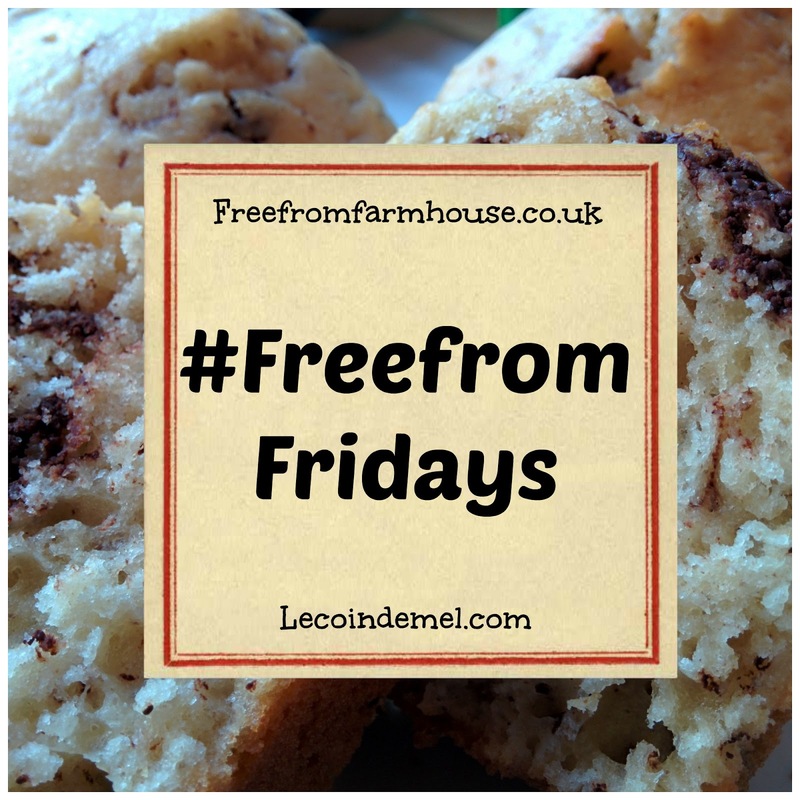 Free From Fridays with the Free From Farmhouse and Le Coin De Mel. 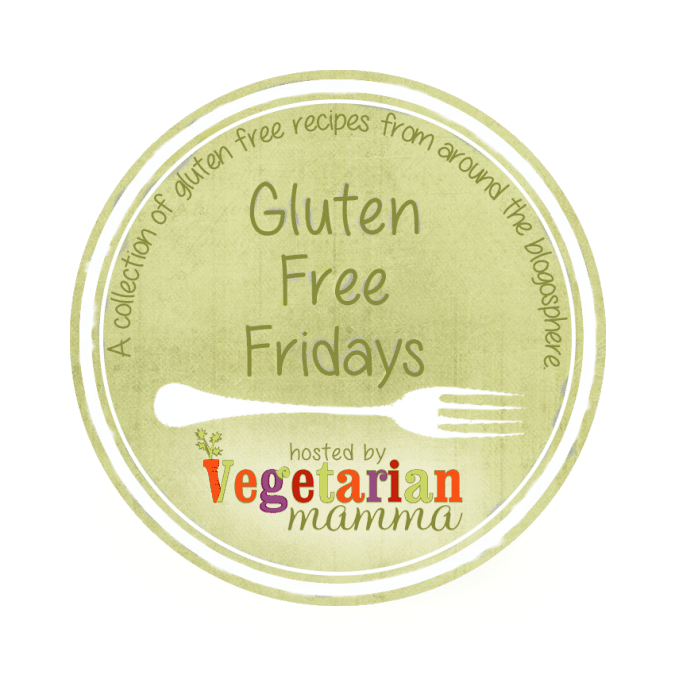 Gluten Free Fridays with Vegetarian Mamma. Weigh and mix together the flours, baking powder, bicarbonate of soda and salt (and cocoa and coconut sugar if using), making sure the ingredients are well combined and all lumps are broken down. Set aside. In a large bowl, beat the eggs until light and airy. Add the buttermilk and melted butter and beat and then add the beetroot and beat again. Finally add the dry ingredients and beat until all ingredients are fully combined into a smooth, thick batter. Heat a flat-bottomed pancake pan over a medium-low heat. Spray a very light coating of cooking oil, or wipe the surface with sunflower oil on a kitchen towel and then pour a spoonful of batter into the pan. Allow the first side of the pancake to cook slowly. When you see lots of bubbles starting to pop on the surface and a spatula slides easily under the pancake, turn it over and cook the other side until fluffy but set. Remove from the pan and place on a heat-proof dish. Cover with foil to keep warm whilst you make the rest of the pancakes. Pour the next spoonful of batter into the pan and repeat steps 5 to 7 until all the batter has been used. Serve either savoury or sweet with your favourite topping. What amazing piles of pancakes - I am too impatient to do a lot of stacking and end up just snacking rather than stacking :-) The addition of beetroot sounds lovely to me and it looks really colourful (sometimes the colour just ebbs away with beetroot in baking). I am sorry to hear your first go at aqua faba was not great - I have tried AF in crepes which worked but not pancakes. For the thicker pancakes there are some good egg free recipes - I like Isa Chandra Moskowitz's vegan fluffy pancakes and have had fun fiddling with this recipe. Thanks Johanna. American-style pancakes definitely look best in a pile, but I agree...... they are always way too tempting not to eat them straight from the pan. I’m loving all of the pancake recipes bloggers are posting this week.Great idea to add beetroot. 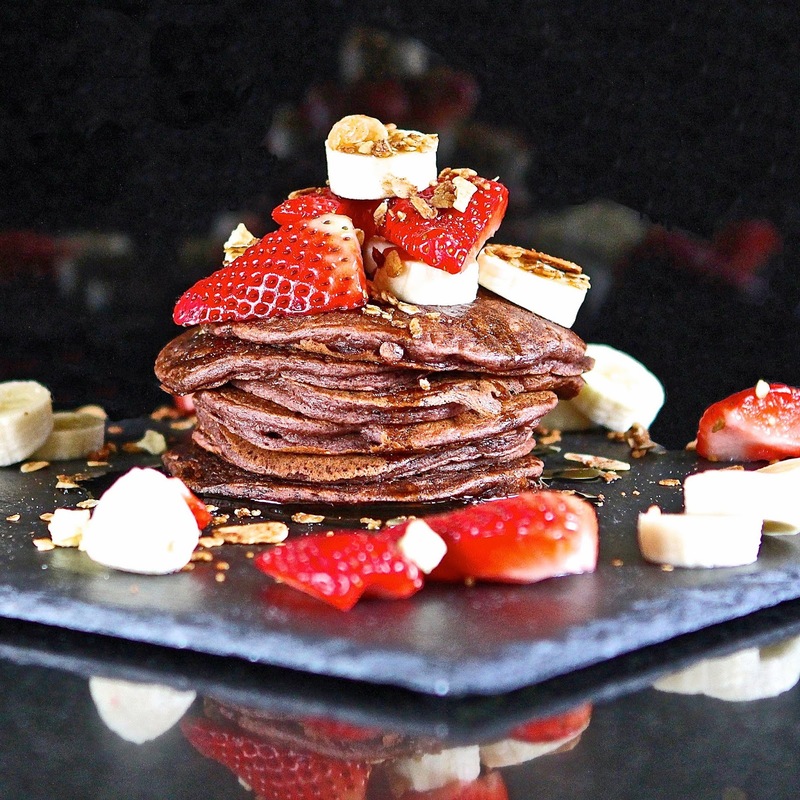 Love love love these beautiful gluten-free pancakes! Your recipes are always so creative and I love the gluten-free flour combos yo are using! Pinning and stumbling! Absolutely yummy! Thanks Mel. There may be a way to make the aquafaba work, but I don't think it will be me testing it next time! Bit of a waste of good chickpea water!!!!! They look ABSOLUTELY DELICIOUS Kate! 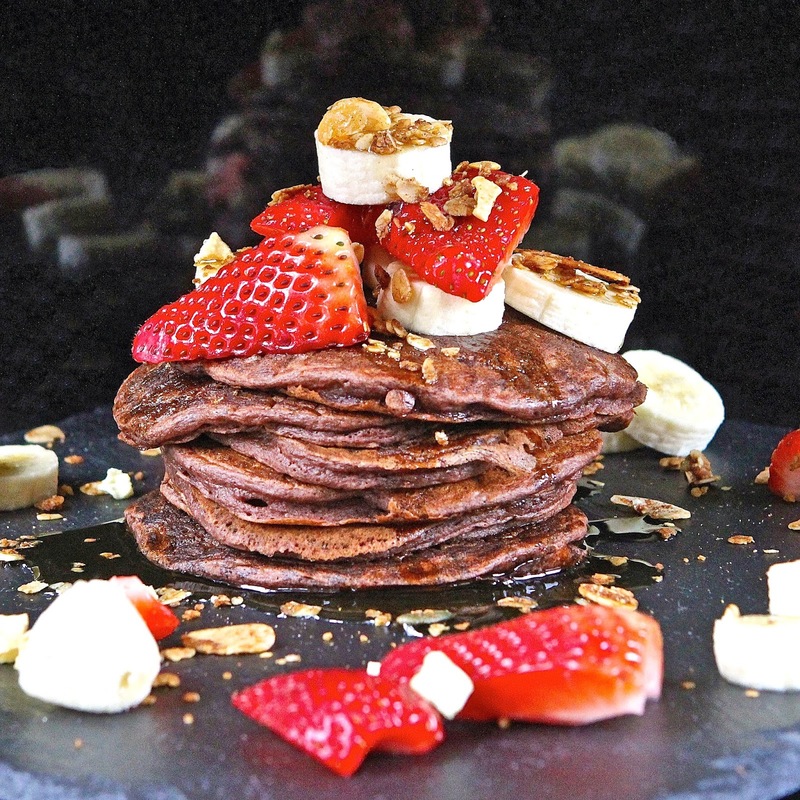 I love the idea of there being beetroot in the mixture, something I've never heard of before (adding them to pancakes, not beetroot itself of course! ;-) ) I can just imagine that they taste wonderful with the chocolate and buttermilk. Shame the aquafaba idea didn't work. I don't know if you've come across them or not, but there is a FB group dedicated (I believe to aquafaba) where people share their successes and failures so as to learn from one another. Great bake! Lovely recipe. I like your addition of oat flour, I will try that too next time I bake something gluten free. They look amazing! Thanks Alida. I love using oats. They add texture, flavour and goodness. Just lucky we can tolerate them really! 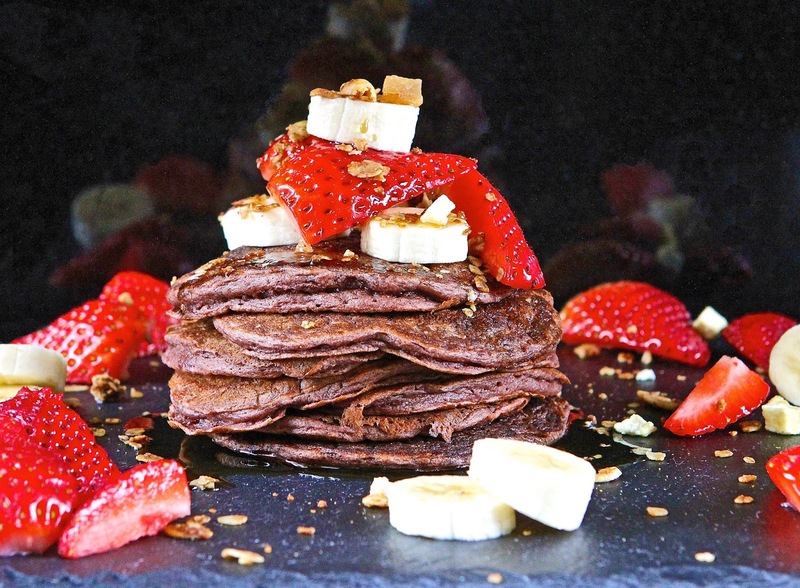 Wow these look fantastic and I love the sweet and savoury options, savoury pancakes are so underated but they are yummy! These sound amazing! I love the idea of using beet root, sounds fantastic. 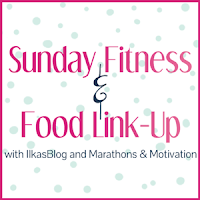 Thanks for sharing at Sunday Fitness & Food.